Infer is an artificial intelligence (AI) SaaS platform integrated with multiple MarTech solutions for predictive lead and account scoring and managing hyper-segmented profiles. SVP & Chief Revenue Officer Johannes Kamleitner details the success they have experienced with Ignite's Platinum Support. 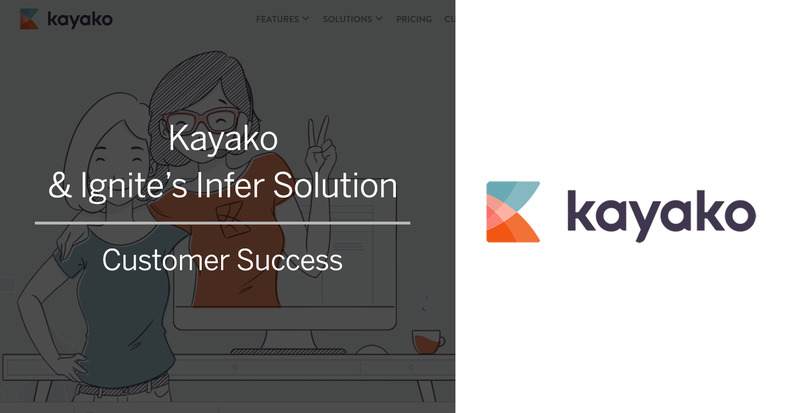 Learn how Infer increased visibility into Kayako’s lead generation efforts, and the ability to focus on specific target segments. Learn how DNN uses Ignite's Infer predictive analytics to increase lead to opportunity conversion by 25%. Customer success is our #1 objective, and that’s why we’ve created the Ignite Customer Support Program. The Program has three service tiers: Platinum, Gold and Standard. Ignite’s Platinum Support is the preferred option for our most active and demanding customers, as it contains the widest array of services and the highest prioritization for critical issue resolution. Maximize the return on your investment with Ignite’s Infer Consulting Services. From advisory and process consulting, through implementation and support, our team of industry experts will ensure you get superior value from your technology investment. To improve sales funnel performance, Infer customers can add enhanced BI functionality at no cost, via Ignite’s Enterprise Licence Agreement (ELA), called Prime. Prime offers Infer customers unlimited licenses, including support services at your current support level. Leveraging the Prime program, Ignite customers add new capabilities, displace existing software costs, and address – at no cost – additional service requirements for their organization’s IT, marketing, sales, finance and compliance teams. Already have an Infer account? Johannes Kamleitner, SVP & Chief Revenue Officer at GFI details the success they have experienced with Ignite's Platinum Support. 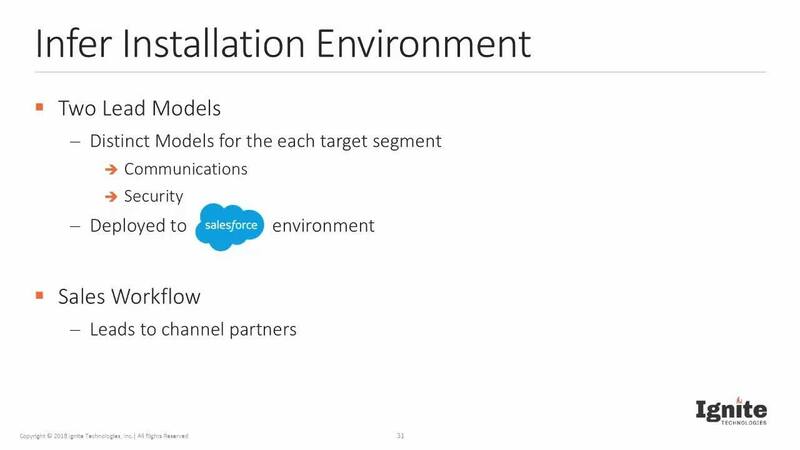 Marc Resier, Kayako's VP of Marketing details the success they have experienced using Ignite's Infer Predictive Lead Scoring. To learn more about how to ignite better business performance with Ignite Technologies’ solutions & services, please request a meeting with an Ignite Customer Success Manager.